Media Touch is a music and radio stream player designed for touch screens. It searches for your music at a specific location on your harddisk. 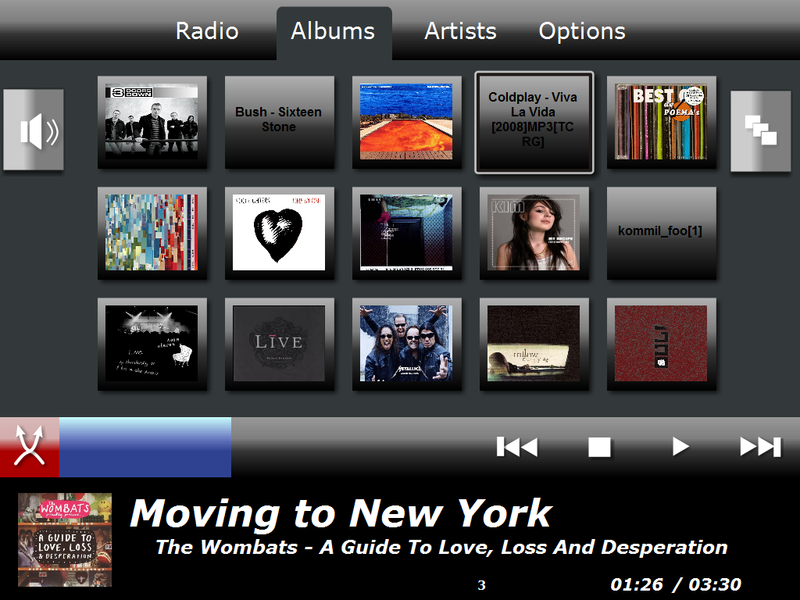 Web radio streams can be configured so you can also listen to your favourite radio stations. Even though the user interface is designed with user-experience in mind, this software runs smoothly on systems with limited capacity in terms of processor and memory. I'm still working on Media Touch, so the current download only contain a beta. Please submit any problems in the forum page.